When you were a kid, how much did you love a good game of pass the parcel? We did! So we suggested that our client Woolworths.co.uk should create the world’s largest ever pass the parcel for this year’s Christmas campaign. 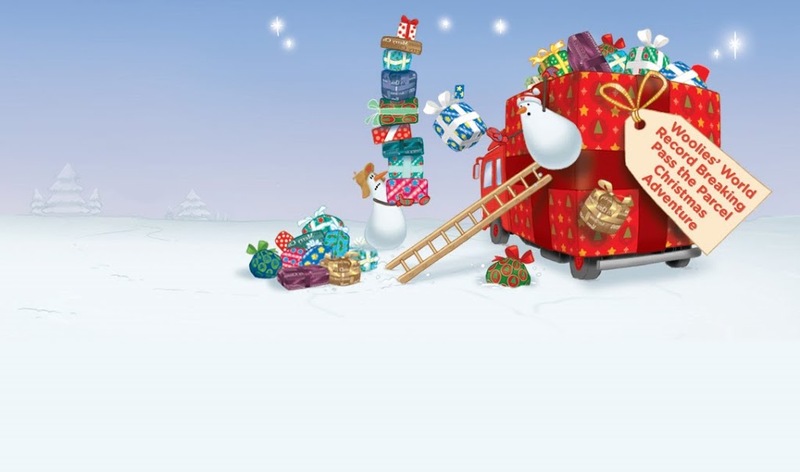 We’ve teamed up with creative solutions agency Anthem who are making our enormous gift, stuffing it with the top toys of Christmas (all available on Woolworths.co.uk, naturally!) and wrapping it in reams of festive paper. If you’re reading this and you want to be part of Woolies’ Record Breaking Pass the Parcel Christmas Adventure then visit Woolworths.co.uk/passtheparcel before the 15th of November and tell Stan and Ollie Snow, Woolies’ loveable snowmen, why the giant parcel should visit your home town. 10 towns and cities will be visited in total, with families in every location invited to peel off one giant layer of the record breaking gift and take away goodies ranging from Jet Pack Buzz Lightyears and Zhu Zhu hamsters to Pumpaloons and Fur Real pets. Stan and Ollie and our road team of Woolies Christmas helpers will be setting off on their trip on Thursday the 25th of November.